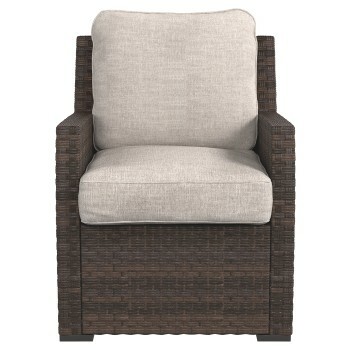 This deeply cushioned lounge chair has the smoothly woven wicker lines you love and indoor comfort you crave. All-weather Nuvella® cushions up the comfort level, as well as the easy care. Concealed aluminum frame is powdercoated for seasons of carefree use.